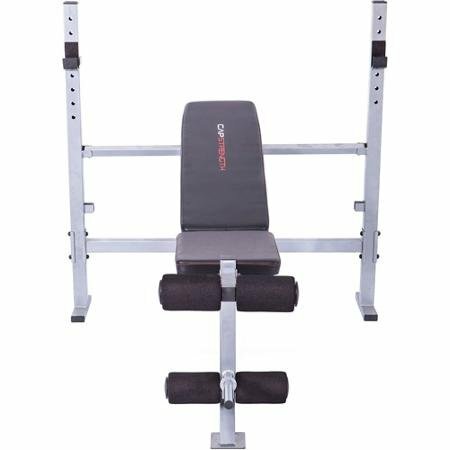 The CAP Strength Olympic Weight Bench is the perfect equipment for beginner, intermediate and experienced lifters looking to invest in their home gym. With the ability to accommodate both standard and olympic bars, and featuring 3 seat variations (incline, decline, or 180-degree flat angle), adjustable uprights, and a two-position back pad, you can fully take advantage of shoulder, chest, back and arm workouts for maximum gain without sacrificing proper alignment. The leg extension feature can be utilized for a full range of lower body exercises, to ensure a balanced workout. With oversized tubing, 500 lb weight capacity, and premium upholstery, the CAP Strength Olympic Bench is durable, long-lasting, and guaranteed to provide optimal workouts time and time again. If you have any questions about this product by Cap, contact us by completing and submitting the form below. If you are looking for a specif part number, please include it with your message.